Join Kevin Sommerfield and Steve Goltz each week on Sunday at 10PM as they discuss the world of Slasher Films. 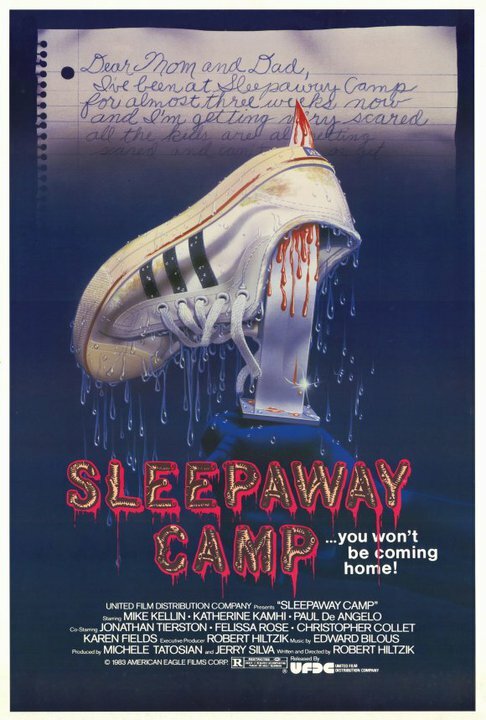 On this week’s April Fools Day episode we will be going over the Sleepaway Camp series. The best and the worst of the franchise as well as taking a look at the recently released Sleepaway Camp IV: The Survivor. Is it worth your money? Which of the films are our personal favorites? Just click on the link below to listen in live (or an archive after it has aired) to find out all the juicy secrets.